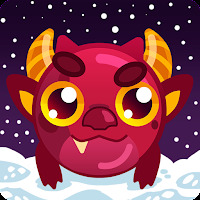 Flaky's Adventure is a story about a small tribe of dragons who call themselves Flaky. They all time live in the dungeon, but you don't need to walk there with blades - this Dragons' kids are very cute. Their main entertainment is during the time to jump as high as possible and some time look at the stars. Only one thing can help them to achive it - fire.